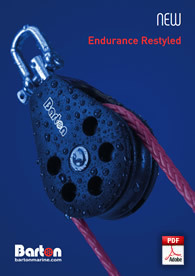 READ THESE INSTRUCTIONS BEFORE COMMENCING FITTING YOUR NEW BARTON BALL BEARING MAINSHEET SYSTEM. Do not remove the traveller car from the beam track unless using the loading track provided. Removal of the car will result in ball bearings coming loose from bearing galleries and create difficulties in re-assembly. Make a careful inspection of the mounting area for the traveller end plates (part #s 20 090 & 24 090, if sold separately). Typically this will be the cockpit vertical sides. 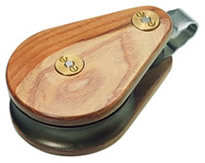 You will need access to the inside of the cockpit vertical side to fit a backing plate made of wood or aluminium (not provided) which needs to be both substantial and wide enough to spread the vertical load. Minimum dimensions 250mm x 250mm and bonded into place. Some cockpit sides are not vertical so a spacer will need to be fabricated to ensure vertical plates are exactly vertical against the cockpit sides. 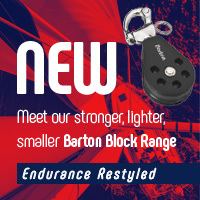 Either hardwood or nylon block can be used as these can be machined to fit. Ensure that the spacer provided is used inside the end fitting extrusion to prevent crushing when tightening the fastening bolt. With the traveller end plates fixed in place on the cockpit sides, carefully measure the distance between the internal face of the end plates each side. The maximum float of the beam track is 4mm so cut the beam track exactly at right angles taking this into account. To fit the remaining end fitting, position as in section 4. Drill and tap the track to accept end fitting fastening taking note of section 5. Use Duralac or other barrier paste to prevent dissimilar metal corrosion between fixing bolt and aluminium track. 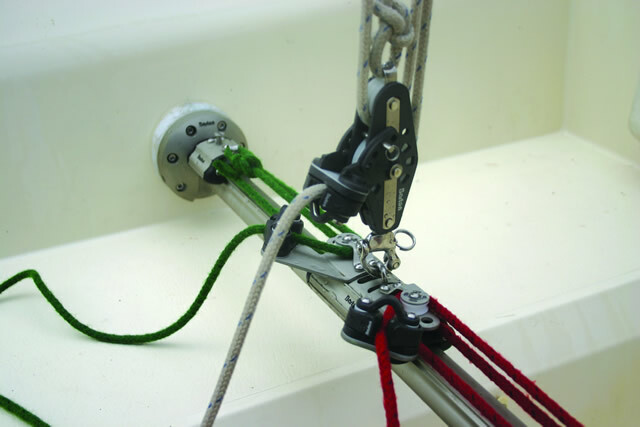 Un-supported span wider than above will require fitment of a removable pelican hook fitted to a barrel adjuster and short wire strop. This is fitted to a pad eye in the cockpit floor and a ‘u’ bracket fitted into the slot on the underside of the beam track. 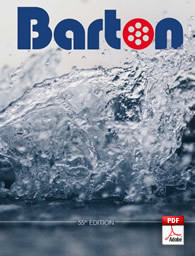 If in doubt about specification please contact Barton Marine Ltd for guidance.